Alumni | Football Season is Here! 04 Sep Football Season is Here! 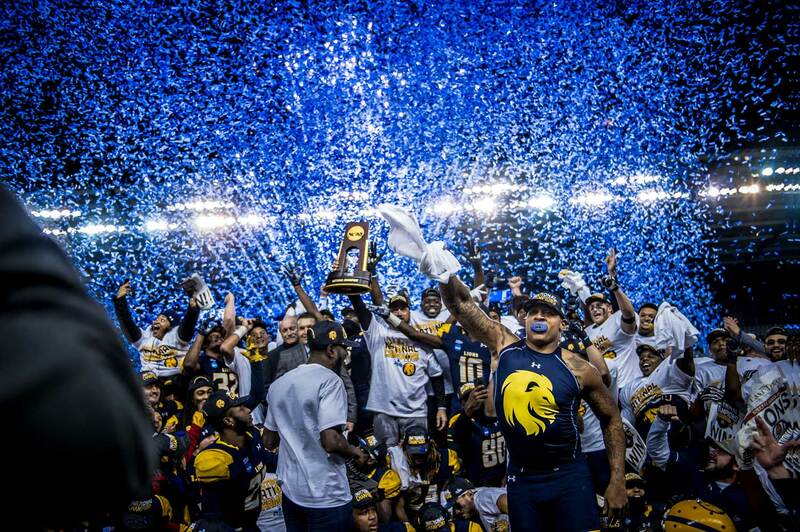 Join President Mark J. Rudin and the A&M-Commerce Alumni Association as we celebrate our 2017 DII National Championship Football by visiting the Alumni Tailgate Tent three hours before each game. Everyone is welcome and encouraged to visit our tent! Food is complimentary for Alumni Association members. Alumni and friends are invited to join the Alumni Association here. Meal tickets will be available to non-members for $10. Visit Lionathletics.com for an entire Fall Sports schedule.